Her power: No superpowers, but she’s a damn good cop and a damn good basketball player. She also has a knack for getting into situations where her right arm is put in danger as a nod to the robotic prosthetic she has in the comics. 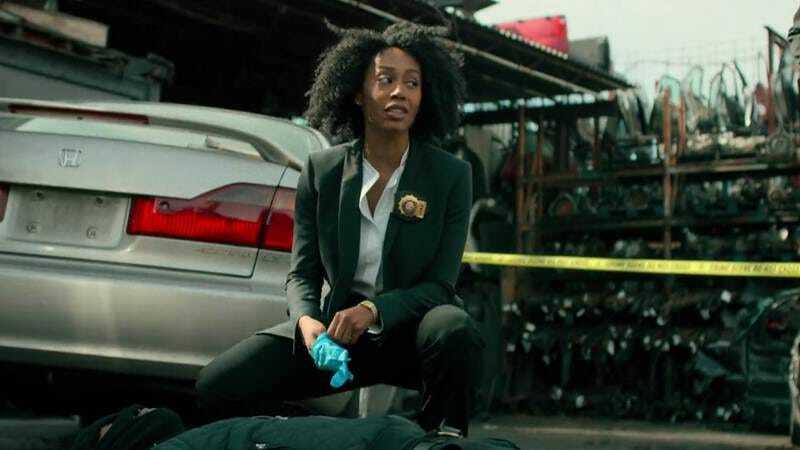 Her story: Misty Knight made her debut in season one of Marvel’s Luke Cage as a dedicated cop trying to bring down Cornell “Cottonmouth” Stokes. She met Luke Cage while scoping out Cottonmouth’s Harlem’s Paradise nightclub. The two quickly found themselves on opposite sides of the vigilante issue, with Cage trying to take down Cottonmouth with his superpowers and Misty trying to do it with the law. Unbeknownst to Misty, her partner Rafael Scarfe is secretly working with Cottonmouth and feeding him details about Misty’s investigation. When Scarfe tries to turn on Cottonmouth, the villain shoots him. Scarfe’s death and the revelation that he was crooked leave Misty devastated, but it also strengthens her resolve to bring down Cottonmouth. Mariah Dillard beats her to it—literally—when she ends up murdering her cousin Cottonmouth. Misty then sets her sights on Dillard, who has begun taking over Cottonmouth’s criminal empire. Despite a strong case and a solid witness, Misty’s case falls apart while Dillard is in custody due to the witness getting murdered, which shakes Misty’s faith in the criminal justice system. She ends the season fairly directionless, having pretty much failed to bring justice to any of Harlem’s villains. Currently, Misty Knight is: Most likely hanging around Harlem, continuing to risk the loss of her arm. Where will we see her next? She’ll be hanging out with The Defenders in 2017.